BelgYum, the cheery waffle shop in Phoenix Marketcity makes what we think are the best waffles in the town. And now, they are making their way to Forum Mall in Koramangala. Known for their airy, crunchy and delicious toppings, expect our recommendations as well as crowd favourites Chocolat Belge and Fruit Melba to be served here as well. 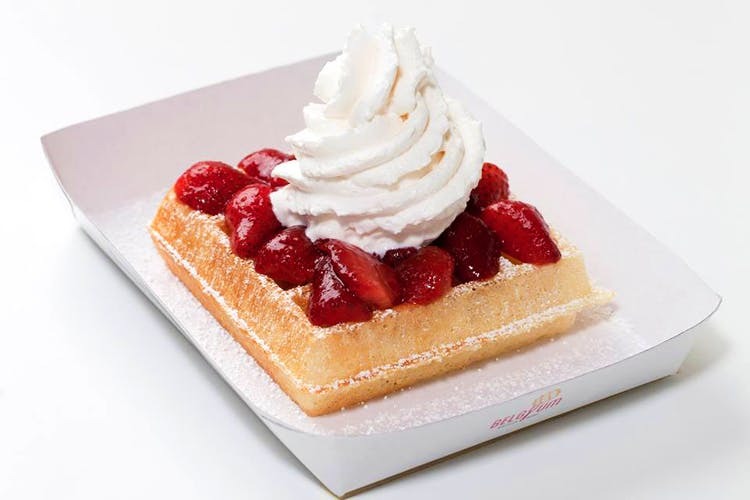 Perfect for those looking for a quick snack after or during their shopping spree at the mall, the waffles are served in compact, cardboard food trays that you can easily carry around. Pair the waffles with drinks such as hot chocolate, coffee or milkshakes, and you’ve got yourself a well-deserved sweet treat! They are located outside the mall on the Tavarekere side and by the looks of the ongoing construction, we are thinking it’ll have the same decor and feel of the one in Phoenix. The Best Place To Satisfy All Your Waffle Cravings!